They’re ready in 11 minutes. These are great to pop into school lunch boxes (or work lunch boxes!) in little zip lock bags. 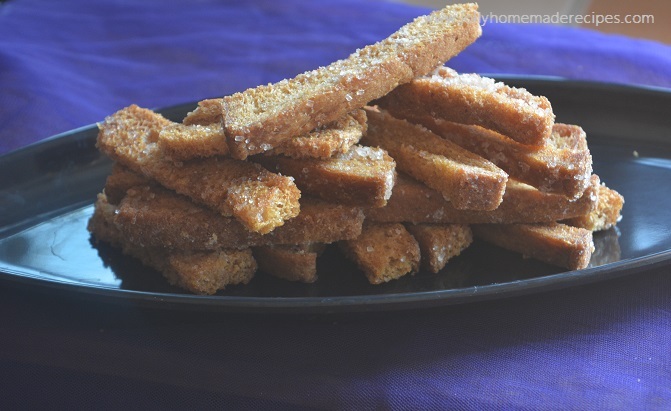 Cinnamon and Sugar goes well with these bread sticks, I feel they are made for each other, it taste like lightly sweet-salty bread crust sticks, personally I really loved it...totally awesome !! I have taken this Ground Cinnamon bottle from Australia, they have natural flavors of cinnamon...A mildly sweet and delicate fragrant flavour, I am very happy of using this product of MasterFoods, hope I'll get this product easily available in India otherwise I need to use it very small quantity of it..LOL !! You can make it with any kind of bread either a day old or stale bread. Stale bread is dry and leathery. I have used that stale one because it doesn't soak up the butter as much, which means it gets distributed better. !! SAVE MORE BY WASTING LESS. YOU JUST NEED TO BE GET A BIT CREATIVE !! 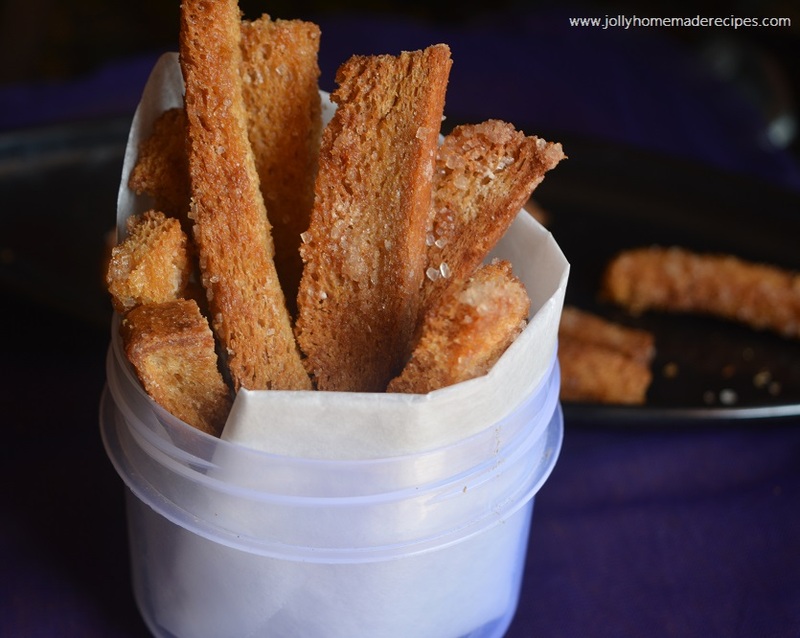 Let's start this easy and crunchy recipe of cinnamon sugar bread crust treats with step by step photos. 2. Cut crusts into 3cm/1.5" pieces. Place bread crusts in a large bowl. 3. 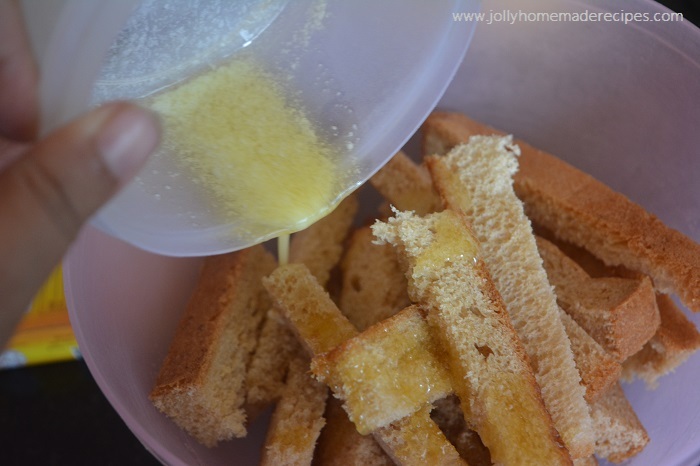 Drizzle over butter, tossing the bread crusts as you go (with your other hand) to evenly distribute as best as possible. 4. 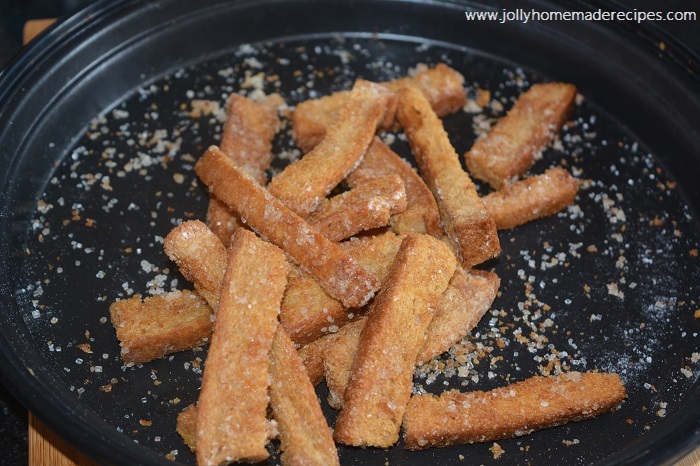 Sprinkle the sugar and cinnamon over the bread sticks and and toss through. 5. 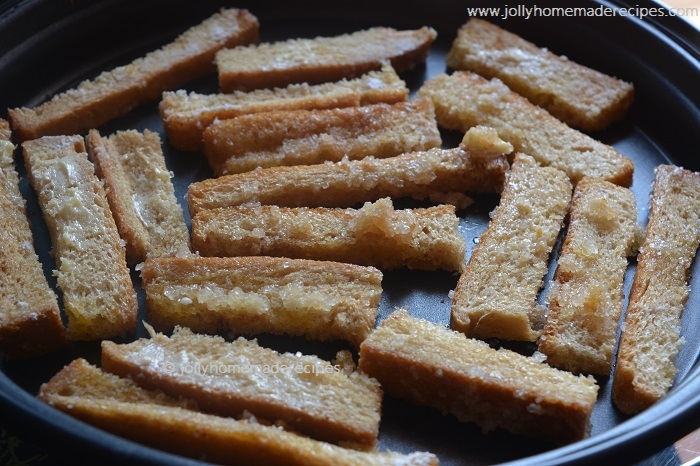 Arrange the bread-sticks in a single layer on a baking tray. 6. 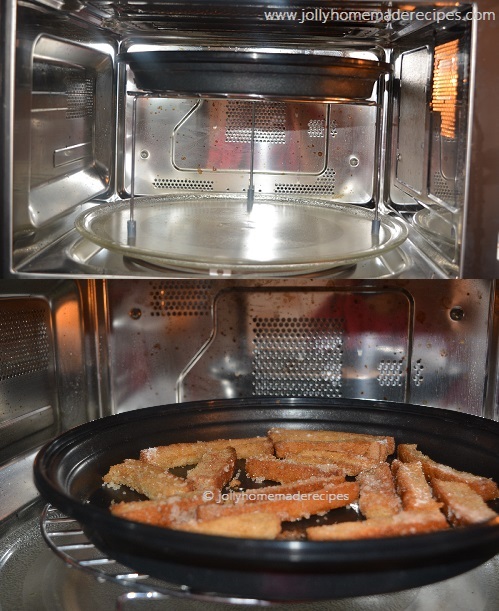 Bake it, until golden brown and crunchy (check the ones in the middle of the tray). The tray on the top rack will be ready first, it will take 5 minutes. The bottom rack will take a couple of minutes longer approx 6 minutes. 7. While hot, sprinkle over the remaining 1/2 tbsp of sugar. This is mainly for appearance purpose. 8. Store it in a air-tight container. * The amount of sugar and cinnamon depends on your preference so adjust accordingly to what you like. You can also use olive oil to replace the butter as a healthier alternative. * Stale bread works better than fresh because it doesn't soak up the butter as much, which means it gets distributed better. This looks wonderful..thanks you so much for the recipe.. This is an awesome idea of using the left over bread. It looks tempting, kids in my house can really enjoy it. wow !! fantastic idea. Will sure try this. Oh Lovely...Just soooo yummmy.I like these a lot. 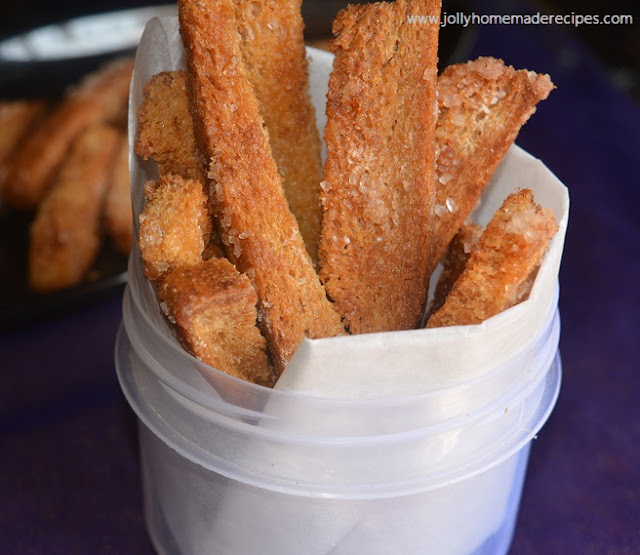 Wow such a yummy way to use the leftover bread I make savoury croutons but something sweet is always better, I will try this soon, bookyour recipe, thanks for sharing. OMG .. these are Divine.. 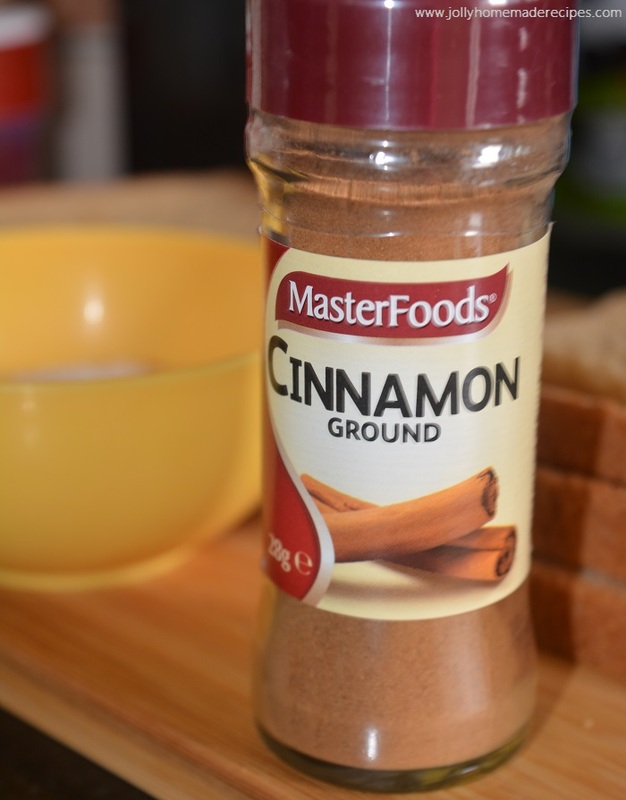 I love cinnamon flavour and will surely make them soon. Good accompaniment with tea. Wow that's a good use of Leftover bread. Crunchy and would be loved by children's I have leftover bread many a time, so now I have one more recipe to try. Thank You. 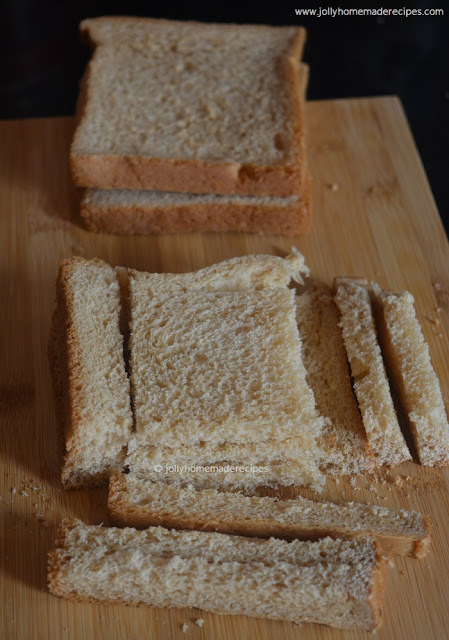 The crusts and the end slices are my favourite part of the bread! What a smashing way to use the crusts. I am sure both the young and the old enjoyed these with gusto. What an excellent idea to use leftover bread. Loved it. Cinnamon is my favourite flavour. And these bread sticks looks divine. What a lovely way to use up left over bread. I am sure they must taste delicious with the cinnamon sugar on them. What an incredible treat to finish those leftover bread, and ultimate cinnamon sugar bread crust looks dangerously addictive. 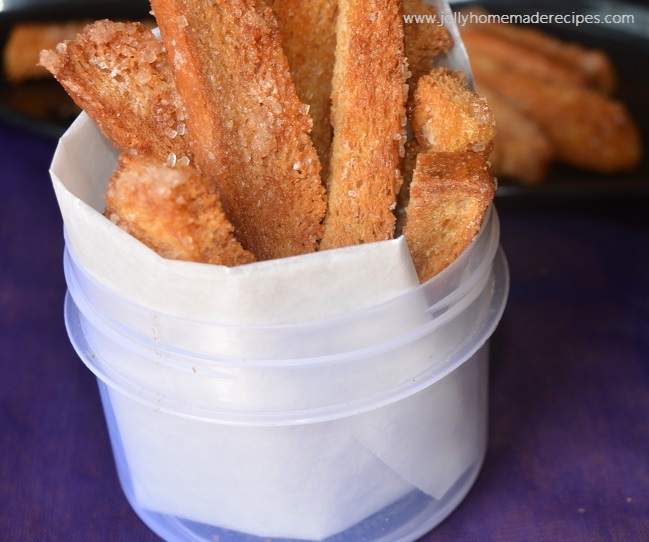 Simple yet delicious way to use up leftover bread...cinnamon sugar is my favourite combo and I can imagine the flavour....Yummy share!! Fantastic idea to use leftover bread. I love the combination of cinnamon and sugar on bread! That's a good way to use the left over bread slice. Looks so handy to munch. 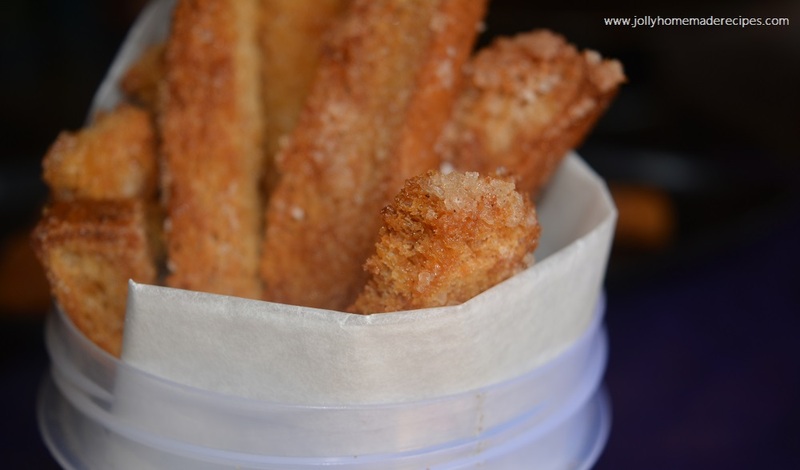 These yummy, crunchy and cinnamon bread sticks looks so inviting, you can say these are almost instant churos! Great for any teatime or for kids too. 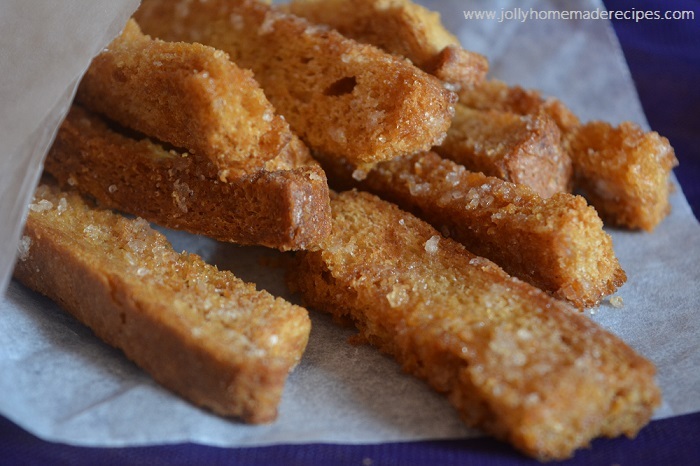 Using bread to create this delicious treat is a brilliant idea. 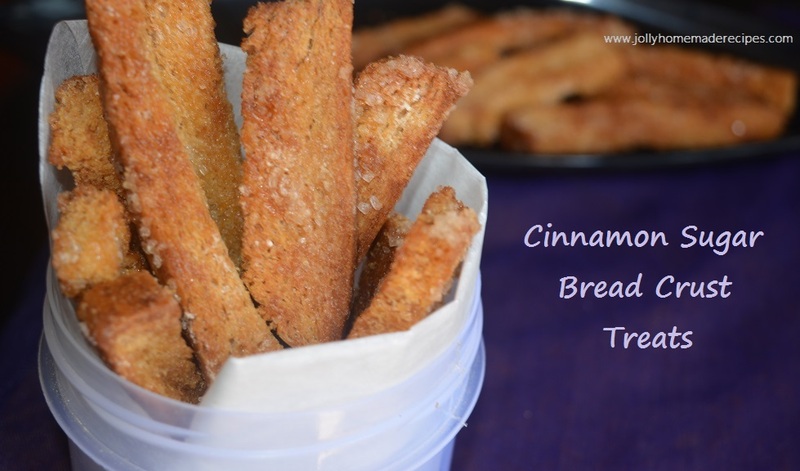 Your cinnamon treat reminds me of a memorable afternoon I had spent wit my cousins in UK and we went mad over the cinnamon toast. Fantastic idea Jolly. 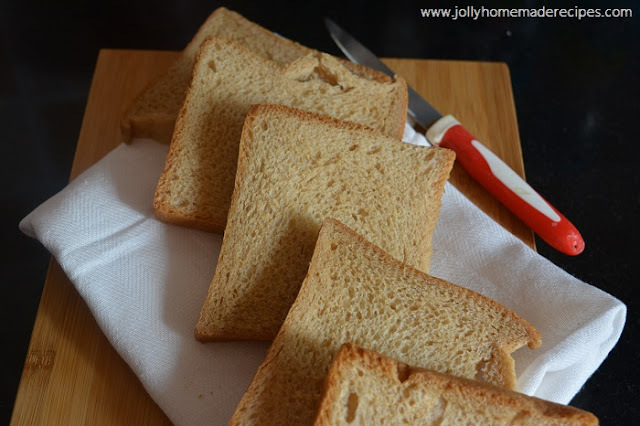 Loved your idea to use left over bread and i am sure my boys will love it. Awesome share! !